Expert wayfarer Jonathon Stalls is on a mission that is anything but pedestrian. Stalls advocates for civic and personal wellness through walking. From his home base in Denver, Colorado, he organizes community walks through his social enterprise, called Walk2Connect, and lobbies for more pedestrian-friendly urban planning. He calls for a return to the mode of travel for which we are built, challenging those around him to slow down and experience life at a pace of three miles an hour. I came across Jonathon’s guided walks through Tentiko, a marketplace for unique and authentic experiences in Denver. There, I found his Mile High TEDx presentation, during which he urges his audience to draw a circle with a one-mile radius around their homes and then commit to walking rather than driving within that space. I met Jonathon for a walk in Denver’s LoDo district and a talk about local transit and world travel on foot. Cynthia Ord: How did you get started as a master walker? 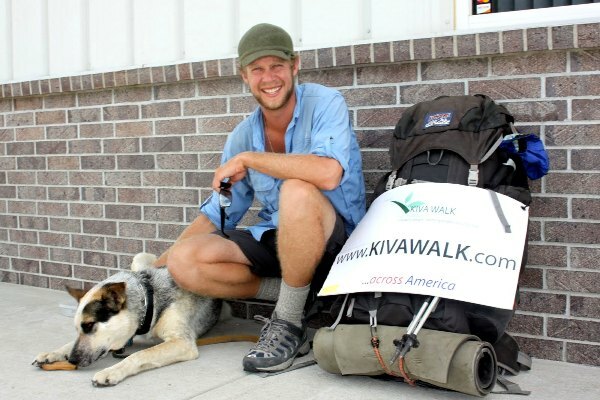 Jonathon Stalls: In 2010, I did a cross-country walk, which was from the east coast to the west coast of the USA, raising money for Kiva.org. It was eight and a half months of walking across across 14 states and hundreds of towns and cities, neighborhoods, everything. It was truly a PhD in connecting through and living in the benefits of walking. The walk became so informative about how rarely we as people incorporate how we’re built – how we’re literally engineered – to be moving into our daily lives. Walking is our first form of transportation. It’s the way that our bodies are designed. Because we don’t walk, there’s a huge piece of how we’re meant to deal with trauma and stress that’s been taken out of the equation. So, on this cross-country walk, I could feel the stress of everyday people who were slumped in the front seats of their cars. I just knew that there was an opportunity to get creative about how to connect people to wellness through walking. I started creating a series of walking trips, first doing it for free while working another job. At the time, I couldn’t visualize how to do it full-time. CO: What were some of your first organized walks like? JS: The toughest part was getting people out, but once I did get people walking, they were changed. These walking trips would just fill up. Every time I posted one, it’d fill up. 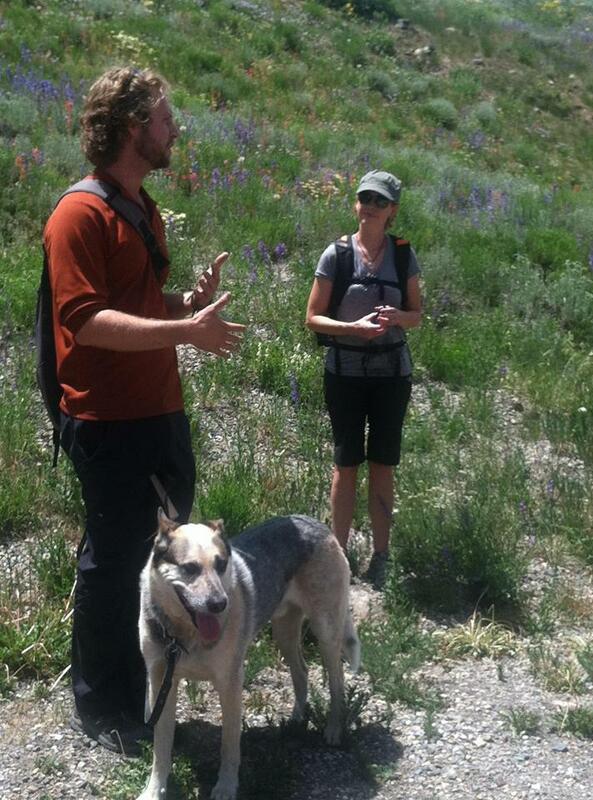 I started taking business groups out on walking trips for professional development or to work through program goals. I’d start taking couples on walks because they were going through something in their relationships. Individuals too. Every single trip brought about clarity, growth and some level of healing. I felt like the more time I could dedicate to organizing this kind of walking, the more it would flourish. CO: You’re a vocal advocate for walkability in the urban sphere. What kind of changes would you most want to see here in Denver, Colorado? JS: Cities in other countries have really prioritized their pedestrian landscape in ways that we can replicate. They’ve created a culture of walkability. Being from Denver, where the environment is ripe for fostering outdoor activities, taking risks and trying new things, I think there’s high potential for more policy conversations on walkability. One of the things I’d love to see in all the neighborhoods of Denver is at least one road or route that is closed to cars. Make it all bike and ped. Cars have to go around. The other thing that I’d love to see, even on a more realistic short-term level, is implementation of public restrooms. We need safer, innovative public restrooms placed strategically between practical-trip destination points for pedestrians and bikes. CO: What about the weather? How do you keep up the walking momentum during the colder months of the year? JS: There are actually some really lovely advantages to it. The best part about walking in colder conditions – especially in Colorado – is the color of the autumn leaves. I like the cooler air that accompanies the sunlight, fewer people out in parks and on trails, the perfect light for taking photos, and walking in and around the quietness of snowfall. If people have the right gear, such as waterproof shoes, hand warmers and extra layers, then they can learn to love walking all year round. 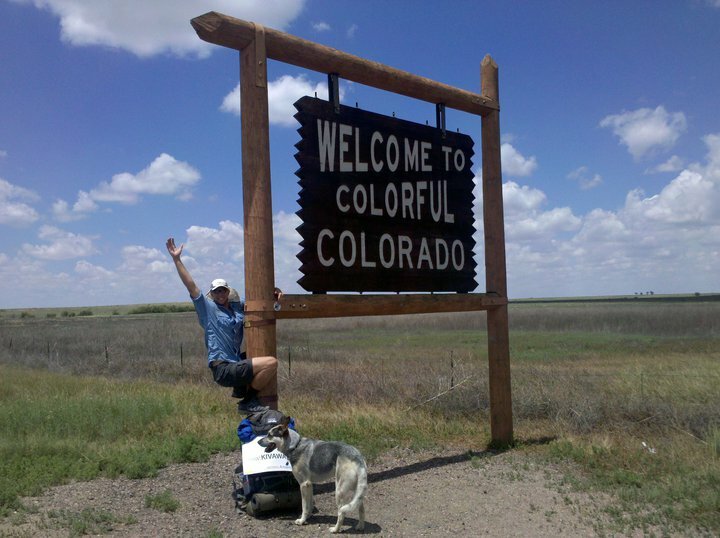 CO: You’ve taken several walking journeys since that first cross-America walk, like your recent walk through Scotland. How do you promote walking as a form of travel? JS: Our main focus at Walk2Connect is creating these really unique, non-traditional walking trips – half-day and full-day trips that lead up to something bigger. One thing that’s helpful is communicating trips in hours or in time rather than in miles. These single-day or half-day trips can serve as incubators for instilling longer-trip walking behavior. They help folks to see walking as means of practical transportation as well as personal mental, physical and emotional wellness. We’re out training, mentally more than anything. From there, we graduate to a two-day trip. The two-day trips we’ve done from Denver to Golden (Colorado) have been just transforming for people. People leave amazed that they just walked 28 miles in two days. 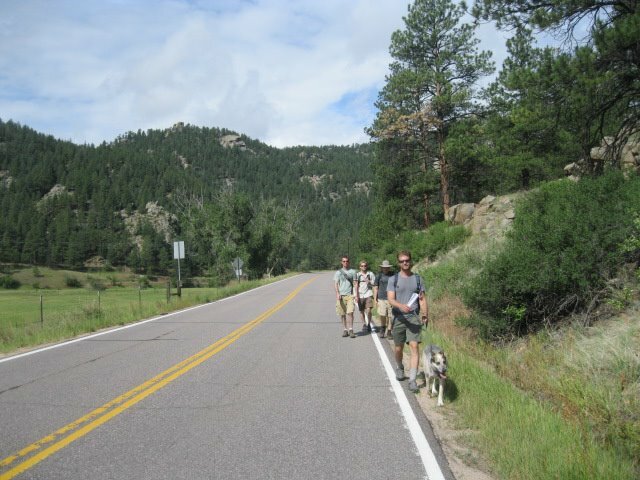 CO: What longer trips does Walk2Connect prepare people for? JS: We’re hoping to build a pool of people who can work toward something like a seven-day walking trip in Nevada. Or the Camino de Santiago, which is the 35-day trip across northern Spain. Or the Great Glen Way, which is the five-day walk I just did in Scotland. It’s about giving people the tools to help them travel on foot wherever they go. We want to start by making it easier and more accessible to do these types of trips right from their own front doors. CO: What are some other great walking trips for beginners that are a little lesser-known than routes like the Camino de Santiago in Spain? JS: There are several hut-to-hut trekking routes in Nepal. Here in the USA, you’ve got a network of national scenic trails, and different sections of these trails offer a multi-day, supported, way-marked route where you’re going in and out of villages and towns. The UK is an amazing example of what walkability could become here in the US. They have an organization there called The Ramblers, founded in 1935, which maintains a wealth of trails that support every shape, size and interest of walker. The Great Glen Way, which I just did, is a superb 5- to 6-day beginner multi-day walking trip through the Highlands of Scotland. CO: So there are a growing number of exciting routes out there worldwide, but walking tours are pretty far from mainstream. Why do you think that is? JS: I think the benefits of walking aren’t articulated enough to the travel market. These great benefits aren’t being utilized to build a culture around walking. When people hear “walking tour,” they don’t have a context for it. It sounds too slow. I think men, especially, see it as weak. It’s funny – take the term “walking” and the term “hiking” and see how differently people respond, even though so much of it is the same. So what tools are we using to invite people into a new framework for walking? We open the conversation about the benefits of walking. Not only is it a new way to experience a place, but it also resets the mind. You can focus on all the wellness angles: physical, mental, emotional, communal – even spiritual. CO: Do you have any literature that you suggest to people to turn them on to the benefits of walking? JS: Through my Facebook page and through newsletters, I’ll send out all kinds of articles. I always encourage people to check out two books. The first is Wanderlust: A History of Walking, by Rebecca Solnit, who does a beautiful job portraying the power of walking. The second is Walkable City, by Jeff Speck, which focuses more on infrastructure, culture and policy, building a case for walkable places – cities specifically. Both books are so, so informative. CO: In all your travels, you’ve arrived in places other ways, and you’ve arrived on foot. What makes a walking trip so powerful and unique? That’s easy. It’s immersive. You are way more at one with your surroundings, with the people and with time. It’s amazing how walking amplifies time, allowing you to really stop and look and engage with people in the community. It gives you more freedom to orient yourself and maybe detour a little bit. It maximizes the senses. You leave with a better connection to where you were. Connect with Stalls on Twitter and Facebook for more on walkability and journeying on foot.